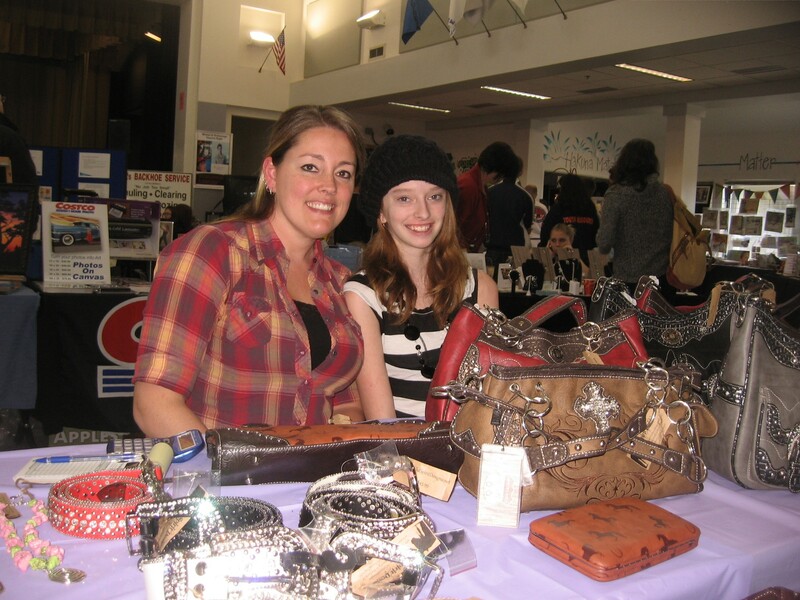 The 8th annual Graham EXPO was a stellar success, with a well-attended festival Saturday that showcased many solid performances from local musicians, along with high-quality art from south Pierce County artists and artisans. 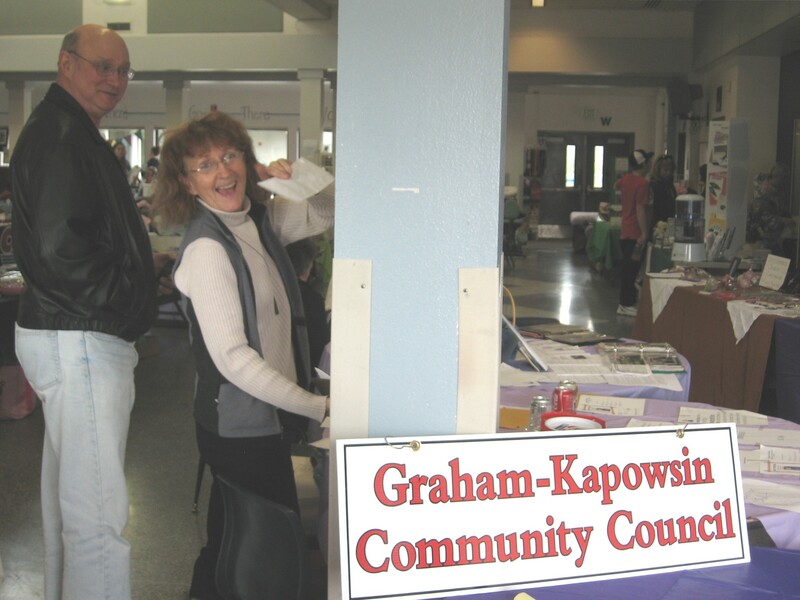 The EXPO is a fundraiser for the Graham-Kapowsin Community Council, which hosts the annual fete as a way to raise money for its on-going operations, especially the liability insurance necessary for protecting its dozen-or-so community organizations that reside under the G-KCC umbrella. G-KCC Executive Director Carol Wright told the Mountain News at the conclusion of the EXPO that her financial goals were met. “Yup, we did it. We’re good for another year!” Carol said. For those unfamiliar with this event, it is more than just an artsy-craftsy way to generate some money – it is an expression, even a celebration, of the talents of residents of the Graham-Kapowsin area. As one quip put it, Graham EXPO is like American Idol meets Graham crafters. EXPO took place in the Frontier Junior High commons, and the stage was filled all day with a lineup of superb performers. A highlight was Josh Thun, one-half of the popular Gullywhumpers, based in Kapowsin; and the audience was further graced by the music of a quirky jazz trio that featured Deej Heath on Caribbean pans and Kelly McLaughlin and Denny Forman on guitar. In addition, siblings Max and Gabby Marshall led a nifty fiddle quartet that offered a sharp set of old-timey country tunes. In fact, Gabby called a two-tune impromptu square dance as her band performed. Other acts included a very youthful comedic magician named Owen, who was charming and funny even if a tad clumsy with his magical hats, toilet paper and a writhing red and white snake. One of the real treats of the day was the quiet crafting of Lorri Ferguson, a skilled lace-weaver and jeweler. Lorri demonstrated her superb mastery of ancient European styles of lace stitching, an art that is so intricate and time-consuming that before the arrival of modern, high-speed stitching machines only royalty could afford lace for their clothing. “In the 15th, 16th, and 17th centuries, monarchs purchased their lace by placing a continuous stretch of gold coins, edge-to-edge along the full strip of lace,” said Lorri. Lorri also displayed a beautiful silver wire lace piece that is at least 150 years old, which she acquired at a professional lace show in Canada several years ago. In addition, she presented numerous pieces of her bead work and wire jewelry, and had hand-made cards for sale. Lorri also announced that she is about to convert a portion of her home in Graham to a lace and jewelry-making studio, where she will offer classes in these arts. Perhaps the most intriguing part of the festival was the activity of the Untalan Taekwondo studio from Graham. This martial arts academy presented a steady stream of young Taekwondo students breaking hundreds of pine boards with their foreheads, fists, elbows and feet, and their pumped-up shouts of adolescent energy filled the air the entire day. Master George coaching one of his students in the art of an elbow thrust. In addition, several senior members of Master George Untalan’s group demonstrated incredible feats of martial arts mastery, such as busting with one stroke three concrete blocks layered upon each other. After witnessing such remarkable feats, many young men starred wide-eyed at the demonstrators along with showing smiles of deep appreciation on their faces. An even more inspiring aspect of the wood-splitting was the fact that each youth was earning a buck-a-board in donations for the homeless shelters operated by Bethel School District’s Youth Resources, Inc. YRI’s Executive Director, Debra Cozzetti, addressed the audience towards the conclusion of the EXPO, and thanked the Untalan members for helping raise money for the two residential facilities Youth Resources manages for Bethel students aged 18-21. “I thank you sincerely for helping us assist those youth who do not have a roof over their heads for various reasons, but still want an education,” Cozzetti said. Also inspiring was watching Ms. Cozzetti take the stage and receive some coaching from Master George in the art of halving a piece of wood with her fist. After a few minutes of intense instruction, Cozzetti busted her piece with just one chop, evoking loud applause from the audience, including many of her residents. 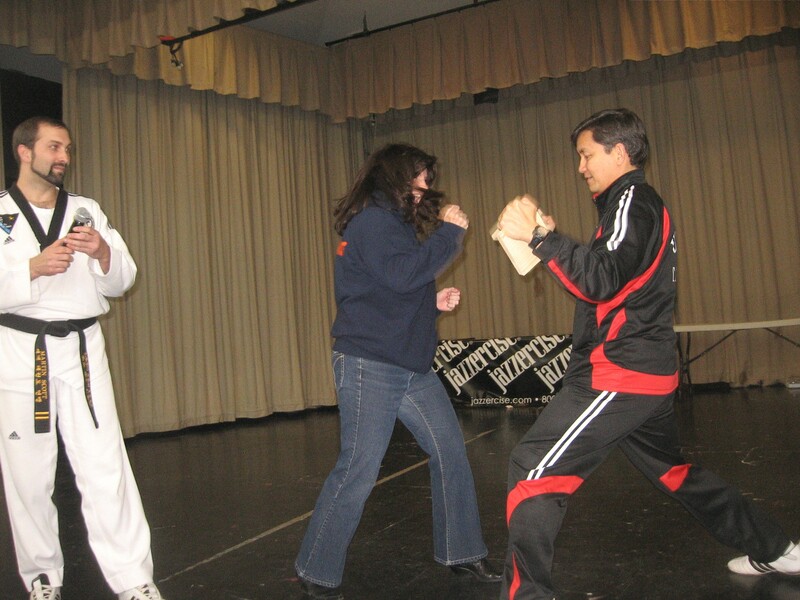 Deborah Cozzetti, head of Youth Resources, Inc, busted a pine board under the tutelage of Master George Untalan, right, with Master Martin on left. As in years past, the EXPO was peopled with strolling clowns, such as Freddy G; demonstrations by G-KCC vendors, like Ellen Hall’s popular Jazzercise group; and community organizations such as Graham’s Evergreen Presbyterian Church and the Graham Self-Reliant Community. Got bling? If not, check with Christa and Makenzie Hobart, left and right, of Wild Spirit Designs of Eatonville. 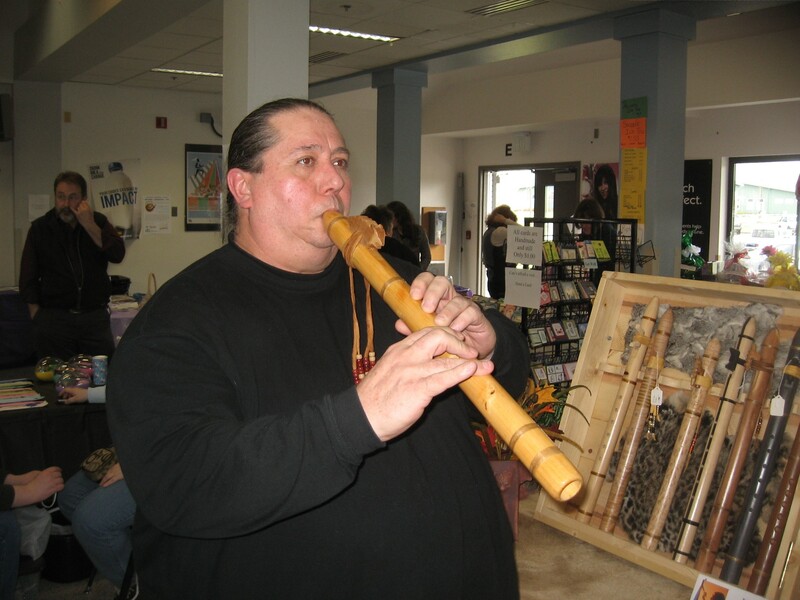 Klukwali Ohkwaho demonstrated his hand-made Native American flutes at EXPO. This entry was posted in Bethel News, Culture, Eatonville News, Entertainment, Events, Graham News and tagged Graham, WA. Bookmark the permalink. If you can measure the success of EXPO by how much we enjoyed it, it scored a 10 today. The Self Reliant exhibit was very well and tastefully done. Thanks to everyone who prepared and manned it. And thanks, Lynn, for your contributions. Your barrel presentation was first class. Gabby, Max and Charmaine, it was so nice to see you all. Max, thank you for your gifts of music, and Gabby, you are natural born leader. Your ability to call the dances so clearly that everyone could follow your instructions and have a good time proves it. Arlene, thanks for your patient persistence with GKAT. Patience must come to fruition in something more perfect for the community. 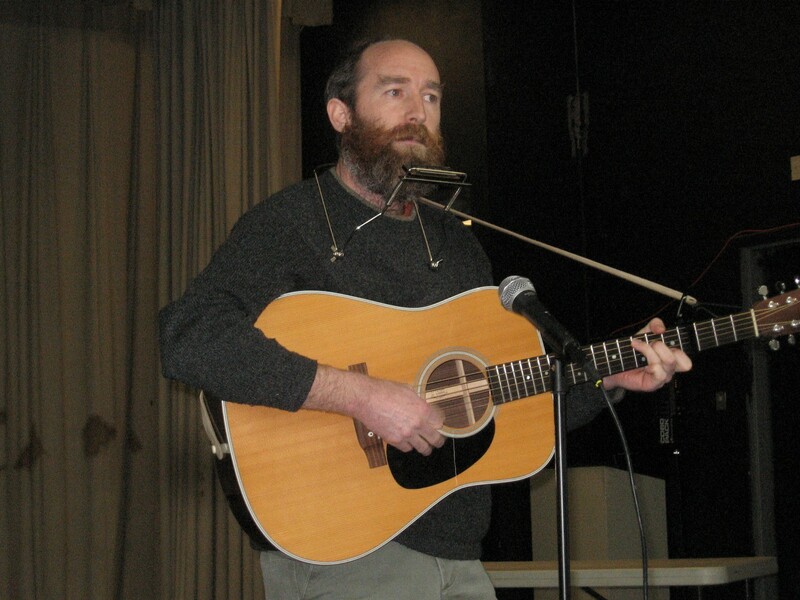 Bruce, thank you for all you’ve done and continue to do to knit this community together. We were told that you would be performing between 1:00 and 2:00 and so came back to hear you. Sorry we couldn’t stay long enough to hear you the second time. I’m sure there will be other opportunities. We heard that you were very good this afternoon. 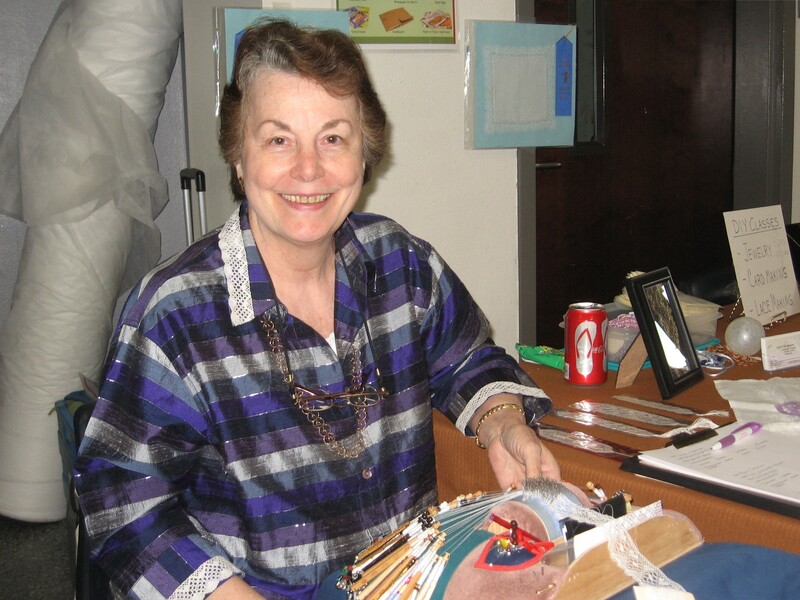 Carol, we can’t thank you enough for steadfastly building the links within in this community. The day had the best feeling to it. Participants were warm, friendly and inclusive and we were so pleased to make acquaintance with so many people in this community whom we had not met before. The on-going entertainment was genuinely entertaining and we found ourselves lingering because of it. We hope EXPO was success in every way and look forward to joining you for it next year. Bruce, Thanks for covering this outstanding event! Expo gets bigger and better each year!